Did Garibaldi do Italy a disservice when he helped its disparate parts achieve unity? Was the goal of political unification a mistake? These questions are asked and answered in a number of ways in this engaging, original consideration of the many histories that contribute to the brilliance-and weakness-of Italy today. David Gilmour's ex­ploration of Italian life over the centuries is filled with provocative anecdotes as well as personal observations, and is peopled with the great figures of the Italian past-from Cicero and Virgil to Dante and the Medicis, from Garibaldi and Cavour to the controversial politicians of the twentieth century. 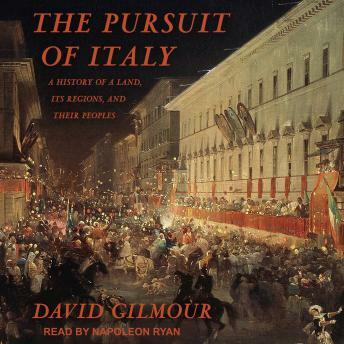 Gilmour's wise account of the Risorgimento, the pivotal epoch in modern Italian history, debunks the nationalistic myths that surround it, though he paints a sympathetic portrait of Giuseppe Verdi, a beloved hero of the era. Gilmour shows that the glory of Italy has always lain in its regions, with their distinc­tive art, civic cultures, identities, and cuisines. Italy's inhabitants identified themselves not as Italians but as Tuscans and Venetians, Sicilians and Lombards, Neapolitans and Genoese. Italy's strength and culture still come from its regions rather than from its misconceived, mishandled notion of a unified nation.